V S Naipaul was once so awestruck by Congress minister Ram Niwas Mirdha's knowledge of his books that he wondered what this 'extraordinary kind of fellow' and 'civilised man' was doing in politics. During a visit to India when Rajiv Gandhi was the prime minister in the mid-80s, Naipaul wanted to meet some senior politicians with whom he could discuss India's political and economic scene and conveyed this to seasoned journalist Khushwant Singh. 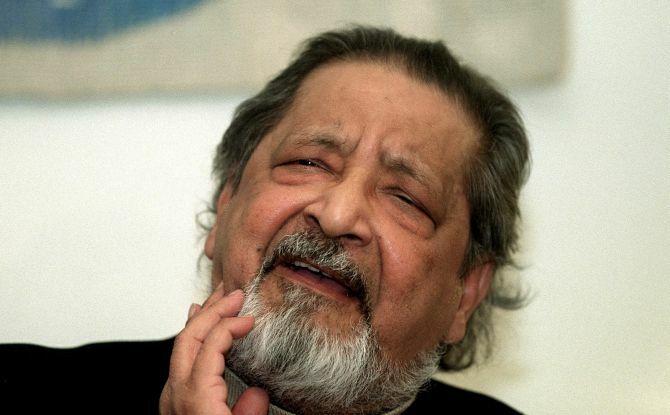 Singh became anxious to find someone who would not embarrass him by not knowing who Naipaul was. And Mirdha did not let Singh down and Naipaul was pleasantly surprised to discover that Mirdha had read everything he had written. 'He did not say so himself but whenever Naipaul made an observation, Mirdha replied by quoting him, '... As you wrote in The Area of Darkness Mr Naipaul' you might recall your earlier observation in The Mimic Men,' wrote Singh. On his way back to hotel, Naipaul asked Singh, "What is a civilised man like Mirdha doing in politics?" To this Singh replied, "I haven't the foggiest idea except that whatever he's been given to do, he's done well. He's led dozens of delegations to international conferences, been chairman of Lalit Kala Akademi and is into sports as well -- youth camps, Olympics and that sort of thing." Naipaul then sighed, "Extraordinary kind of fellow." According to Singh, extraordinary is Naipaul's favourite expression for a phenomenon he cannot comprehend.